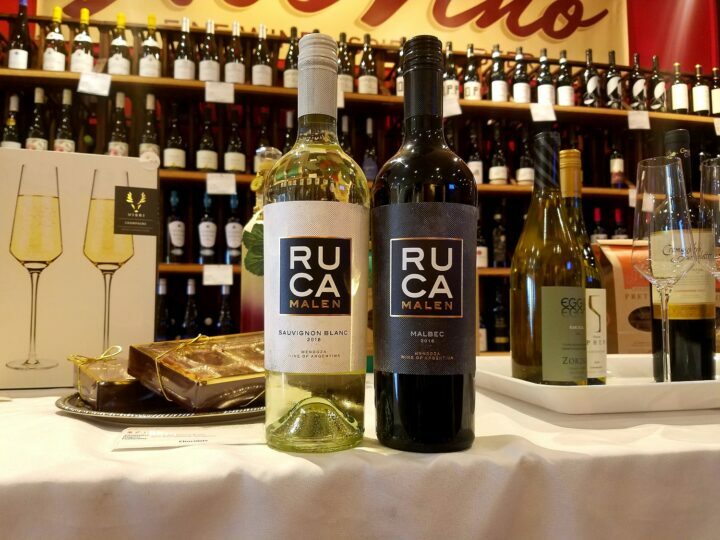 …We know exactly which wines they enjoy with Easter and Passover dinner. (Apparently they also appreciate Broadway show tunes–who knew?) No matter what is on the menu for your celebratory feast, we have carefully selected wonderfully versatile choices to guarantee success at the table. Passover dinners may feature main meats ranging from lamb, chicken, fish, or beef brisket, a variety of vegetables, and, hopefully, Matzo Ball Soup. 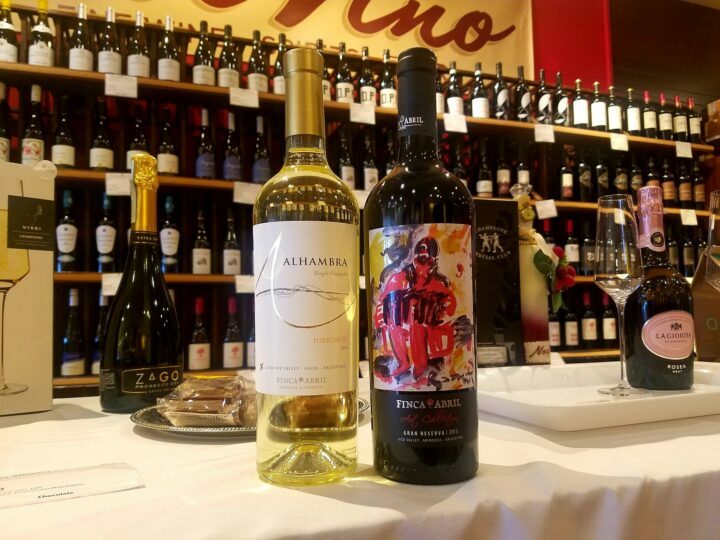 If you are drinking Kosher-for-Passover, here are two remarkable wines from Israel that will fit in with your best holiday dishes: Vitkin Winery’s White and Red Israeli Journey. Before we begin to gush over these, let’s address the fact that a lot of kosher wines are inadvertently given the brush off and considered to be sweet and undrinkable to the lover of all things dry. The truth is kosher wine varies in style, varietal, and place of origin as much as any other wine out there. 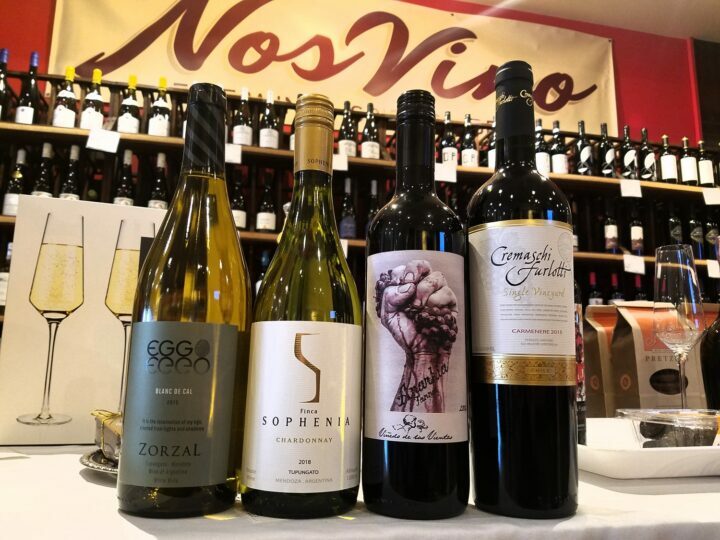 As with all wine selections, you must make the appropriate choice for your palate, but there are tons of kosher wines that everyone can enjoy for every day, casual drinking. 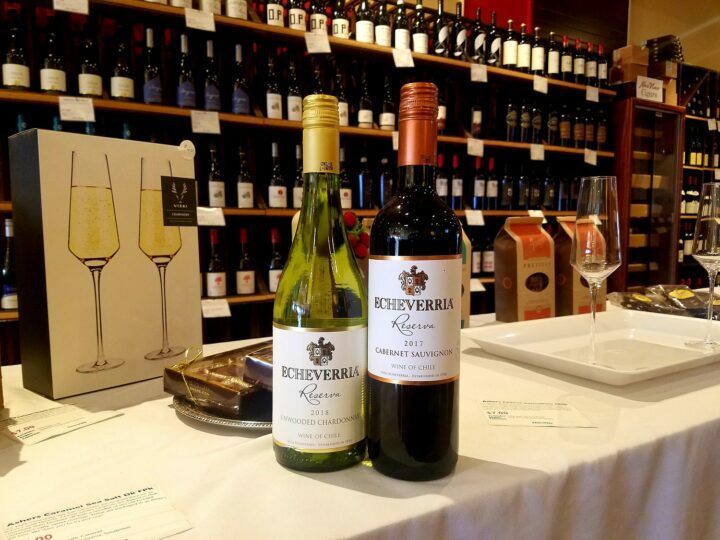 What sets kosher wine apart from the rest is that it is certified by Jewish religious authorities to adhere to biblical law as “proper” or “fit” for consumption. From the time the grapes arrive at the winery, they may only be handled by observant male Orthodox Jews under the supervision of a rabbi, with equipment that is used solely for the making of wine. The use of any animal-based products such as egg whites and gelatin may not be used for fining or for any part in the production of the wine. (So it’s vegan!) To be considered kosher-for-Passover the wine must not have any contact with chametz (grain, bread, and dough). Vitkin is a family-owned, boutique winery located in Kfar Vitkin, Israel, and here are two of their superb wines. The White Israeli Journey is an eclectic blend of Grenache Blanc, Rousanne, Viognier, Colombard, and Gewürztraminer. Hailing from vineyards in Upper Galilee and the Judean Hills region of Carmel, this aromatic and fresh white is dry, crisp, and complex. Upfront aromas of citrus and fresh-cut grass unfold to reveal a slight floral nuance, while notes of peach, apricot, tangerine, melon, and honey dance on the palate creating perfect balance, structure, and harmony. This wine loves veggies, poultry, salads, and fish dishes. The Red Israeli Journey is a bountiful blend of Carignan, Syrah, and Cabernet Franc. A vibrant red with a violet hue, it boasts aromas of ripe plum, crushed violets, Mediterranean herbs, pepper, and a touch a vanilla. It is a marvelously complex, yet an approachable and pleasurable wine with a fruity, spicy finish. If you sit a glass of this kosher gem next to almost any red meat or veggie dish there are sure be smiles all around. Easter dinner is met by the same diversity as Passover with possible appearances from pork roasts, glazed hams, legs of lamb, an array of veggies, potatoes, pies, and a carrot cake, if you’re lucky. To help you along we have enlisted the talents of two delicious friends: The Tikveš Rkaciteli from Macedonia and the Le Grand Bouqueteau Chinon from France’s Loire Valley. 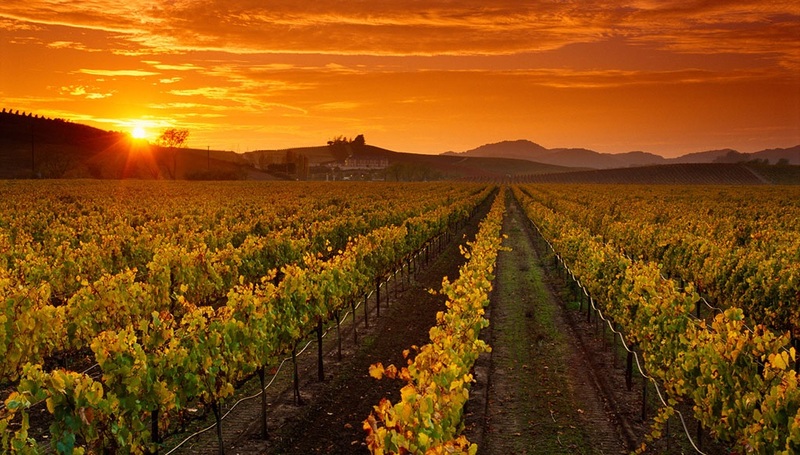 Tikveš has been making wine since 1885 from grapes native to its ancient Eastern European region. Set on an historic estate, they practice sustainable farming (that which is economically viable, socially supportive, and ecologically sound) and produce ever impressive wines of consistent quality and affordability. Rkaciteli is an ancient white grape and one of the oldest in existence. Tikveš’ expression of this varietal is stunning, exuding fresh scents of mango, pineapple, grapefruit, and peach. The delicate flavors of pear along with ripe peach are complemented by this wine’s freshness and sturdy character. It is a welcome addition for any occasion and will absolutely make friends with salads, roasted veggies, poultry, pork, and fish dishes. The Le Grand Bouqueteau Chinon comes to us from France’s famed Loire Valley, more specifically, the medieval town of Chinon, and is a medium-bodied red beauty made from the majestic Cabernet Franc grape. If you’ve never tasted a Chinon, this is your chance to experience a new level of grace and sophistication in wine. Enticing aromas and flavors of cherries and raspberry jam folded into silky, soft tannins, with sultry whispers of strawberry, spice, smoky tomato, and sweet pepper send you on a sensory lovefest that can only be enhanced by the company of roast pork, lamb, and hearty stews. Maybe we should all celebrate both Passover and Easter–who wants to miss out on all this delicious food and wine? Though what it’s truly about is gathering together and honoring traditions and culture; it is what unites us and fills our hearts with love and appreciation—the wine is a welcome bonus. Cheers!